We call it Music Made in Heaven. 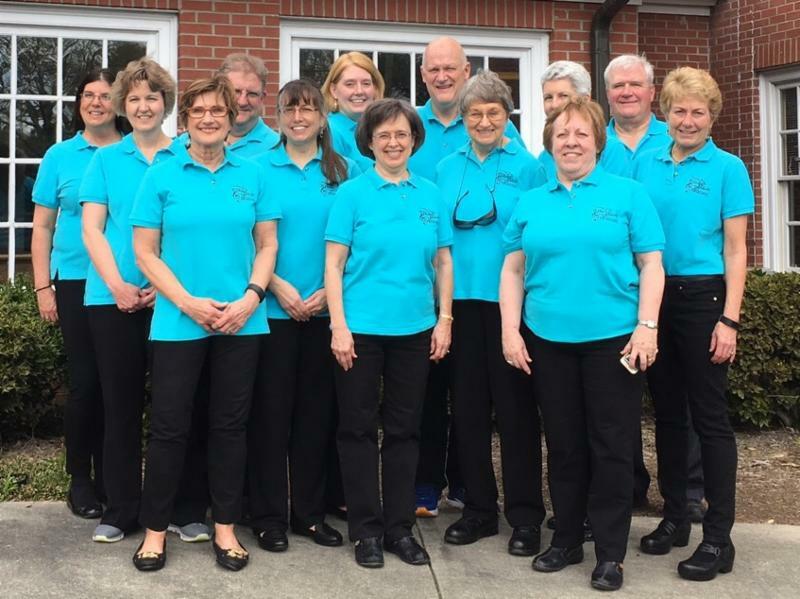 On March 24th and 25th, Music Made in Heaven participated in the North Carolina Baptist Handbell Festival. This is an annual event which offers handbell choirs instruction and fellowship led by a nationally-known clinician. The spring event took place at Winter Park Baptist Church in Wilmington, North Carolina and gave us the opportunity to travel together as a group for the first time. Guest conductor Brian Childers directed over 100 ringers, representing 10 handbell choirs from eastern North Carolina. Mr. Childers leads the handbell program at Myers Park United Methodist Church in Charlotte, North Carolina. Some of the pieces performed at the festival will be included in our annual concert, The Gathering, on May 21st. Join us as a ringer or for the game! 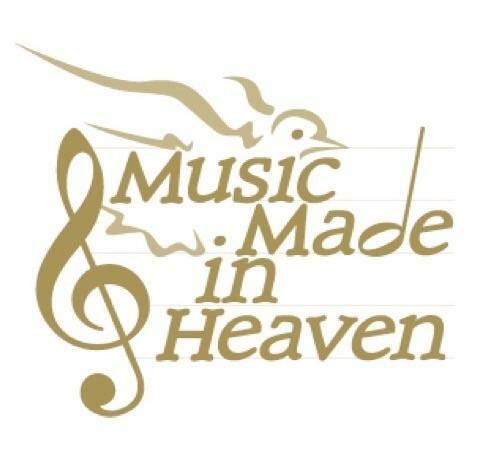 Music Made in Heaven's annual concert, The Gathering, is an hour of both sacred and secular music honoring the memory of the children for whom each bell has been donated. There is still time to register and join us at the Durham Bulls game, June 3rd. 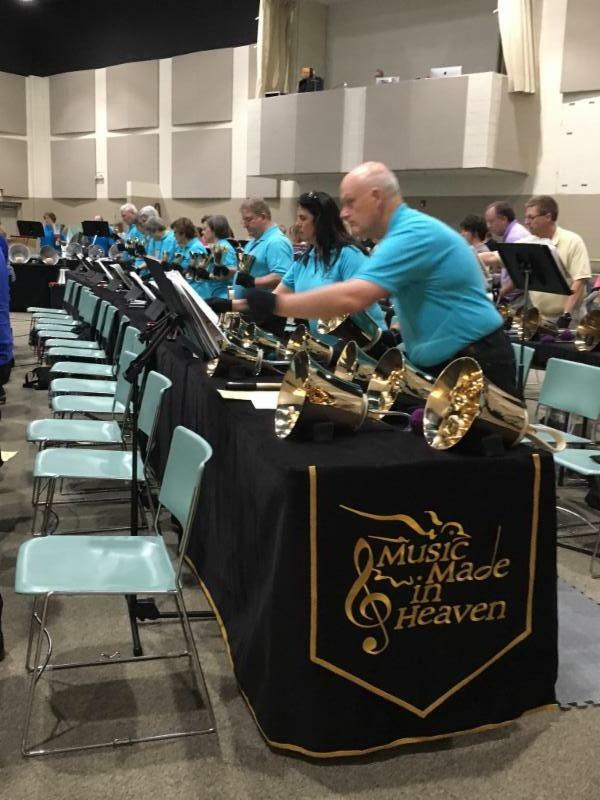 Music Made in Heaven will host handbell ringers from the Raleigh area to play the National Anthem at the game. The cost for ringers to participate is $13; cost for those who just want to come to the game is $12. The online registration deadline has been extended to April 28. Have a Vehicle You Would Like to Donate? MMIH has partnered with Donation Line, LLC, an accredited Better Business Bureau company with a top A+ rating, to accept donations of cars, trucks, motorcycles, vans, commercial vehicles, jet skis, snowmobiles, motorhomes, buses, and boats. Non-running, junk and salvage cars are also accepted! No matter where you are or where the vehicle is located in the US, it will be towed at no expense to you. Donation Line acts as an administrative agent for Music Made in Heaven, a 501(c)(3) organization, by accepting, towing, selling and managing this vehicle donation program. Y ou receive documentation for tax purposes stating you have donated the vehicle and Music Made in Heaven benefits fr om the sale of the vehicle. For more information go to www.donationline.com or call toll-free 1-877-227-7487 and ask for Music Made in Heaven by name or our extension #3224.